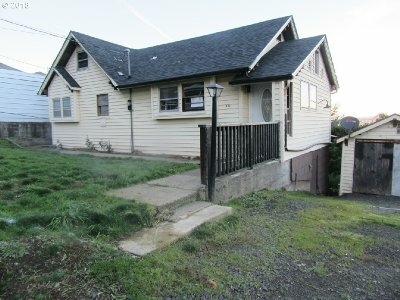 411 W E St, Rainier, OR.| MLS# 18590403 | Luxury Homes, Rural Properties, Starter Homes, Urban Residential and REOs all receive guaranteed service. Beautiful view of the Columbia River. from kitchen & Livingroom. Has an attic with a full bath that can't be included in the sq ft, nice storage area. Full basement that has a lot of potential.This property should be OK for FHA Loan, HUD Owned, HUD will allow up to $10, 000 to be put on Buyers loan FHA loans only, for repairs that are required by Buyers lender. Beautiful view of the Columbia River- must see!